While visiting my cousin in Boston, MA a friend of mine recommended that I visit the newest salon on Newbury Street, Aluna Spa and Salon. Aluna offers everything, from facials and massages to makeup application and hair color. The salon is incredibly modern and clean with a chic color palette of white and turquoise. There is a fireplace and a full bar offering coffee, tea and cookies. I was very pleased with the atmosphere, but even more impressed by the staff. 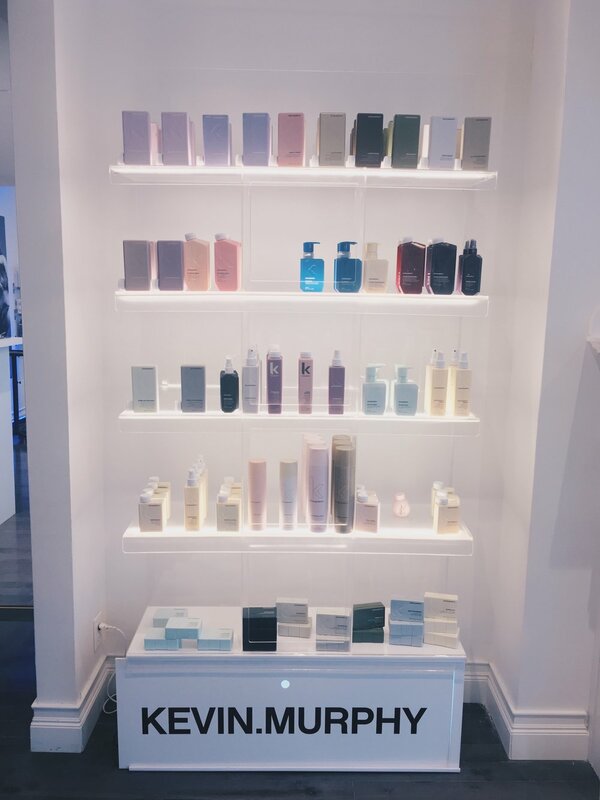 Initially, I visited Aluna for a single blowout, but after meeting David Santory (a 7 year-certified L'Oreal professional colorist who's trained with Kérastase, Kevin Murphy, and Oribe) I decided to stay for a Kérastase Fusio-Dose Hair Lab treatment. This treatment had INSANELY AMAZING results. I am officially addicted and at $45 it can't be beat. I highly recommend that you visit David for this service.